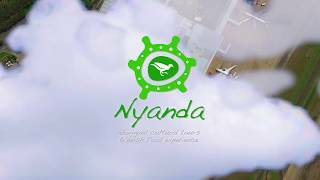 Nyanda Cultural Tours offer a way for you to uniquely experience a connection to this culturally significant place located so close to the City of Brisbane, Australia. *Nyanda is the Yagara word for waterhole or lagoon. Whether you’re a local; there on business, a student, or visiting … We're looking forward to meeting you. We invite you to spend some time with our Aboriginal tour guides who will lead you around. Brisbane’s Nudgee Waterholes, Bora Ring and Bush Food Gardens site. Features of our tours include Aboriginal cultural insights and stories, Aboriginal history, and Aboriginal cultural performance elements. Nyanda Aboriginal Cultural Tours and Experiences have been developed by Jagera Daran, a long established 100 per cent Aboriginal owned and operated Cultural Heritage Consultancy in South East Queensland. We see tourism as a perfect opportunity to further extend authentic, immersive and highly interactive activities that foster education about Aboriginal Culture and Australia’s Aboriginal History. During the one and a half hour visitor tour, you will be able to participate in a smoke ceremony; taste seasonal bush foods and see where witchety grubs live; participate in weaving and ochre-making demonstrations; view a fossilised spear that was discovered here; and listen to a bull-roarer at the sacred Bora Ring.